← Why Would I Pay darcylear.com When I Can Go to Campus Career Services for Free? Last fall, I traveled to 7 campuses in 5 states to lead job search workshops for foreign language students. 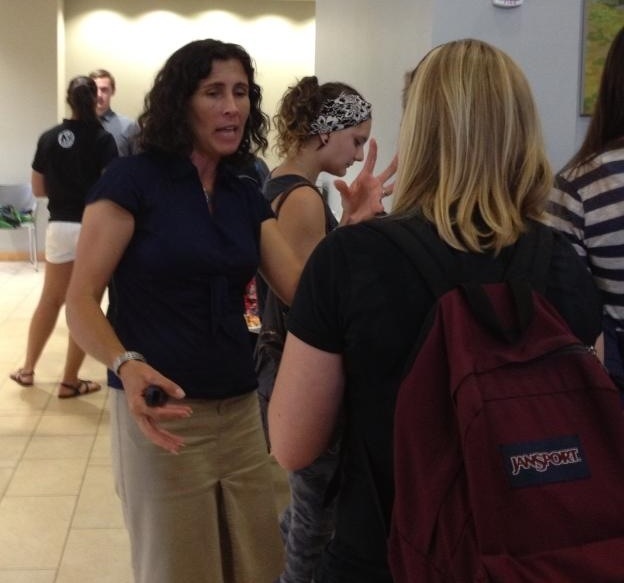 I kicked off the fall workshop season at the University of Florida in Gainesville on September 11th. The chair of the Department of Spanish & Portuguese Studies, Gillian Lord Ward, hosted me as part of their “Major Event” designed to attract students to minor and major in Spanish & Portuguese. And if turnout at the event was a sign of things to come, there will be a lot of new minors and majors at the University of Florida in the next couple years: more than 250 students showed up. While visiting the University of Florida, I was able to stay at the beach with my mom and sister and the three of us celebrated my mom’s 84th birthday together. 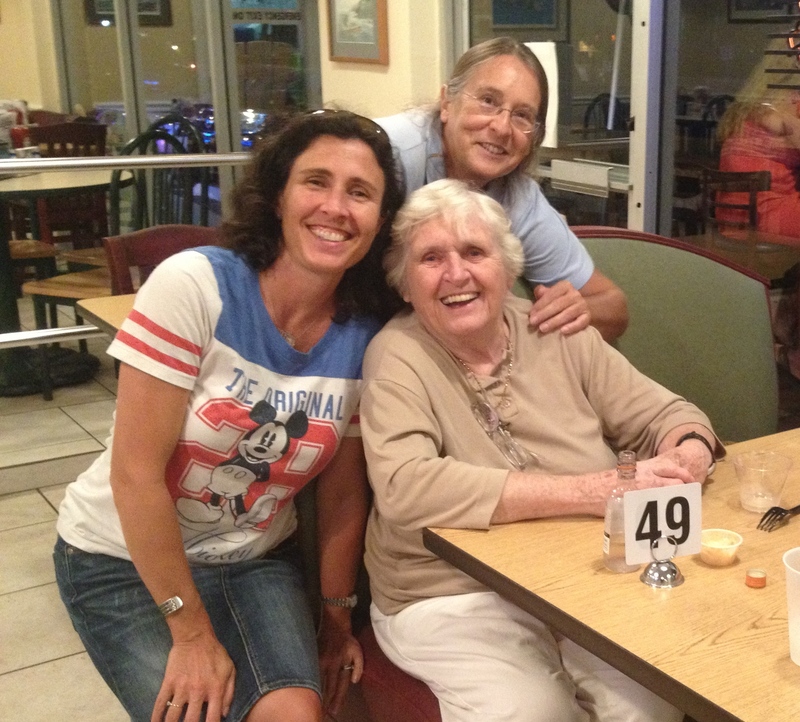 Celebrating my mom’s 84th birthday with my sister in Florida, September 2013. The following week, I traveled through central Illinois, the next month to Wisconsin, and I ended my fall travels in the Philadelphia area where I made three stops: Rider University, West Chester University, and Arcadia University and worked with nearly 100 students in the area (see posts here, here, here, and here). 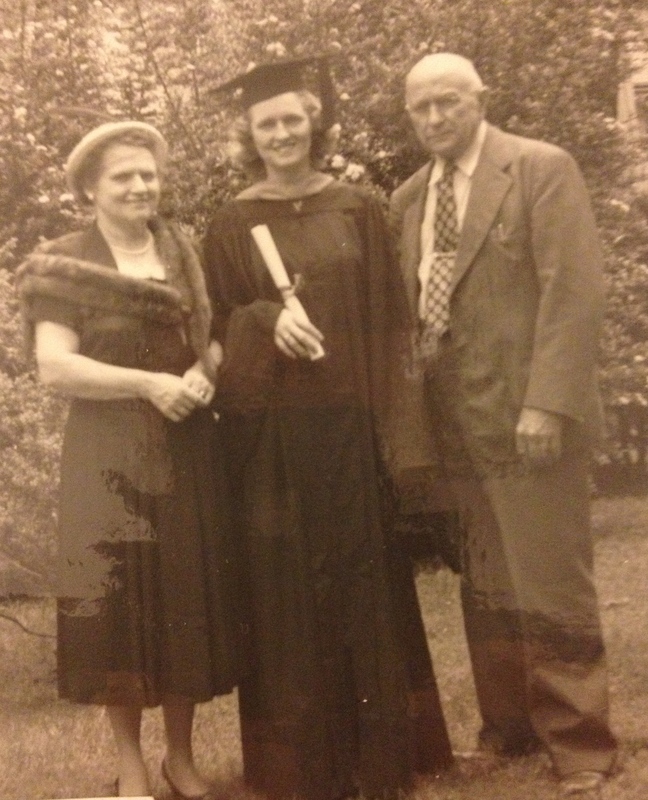 Nancy Albertson at her West Chester graduation, 1951. West Chester was a particularly sentimental stop for me because my mother graduated from that institution in 1951. It was my first trip to the campus or the town despite frequent childhood visits to see my grandmother & great aunt in Philadelphia. Before I left town, my family was able to get together for brunch. And so I closed out my fall travels with my mom and all of my siblings. November, 2013. 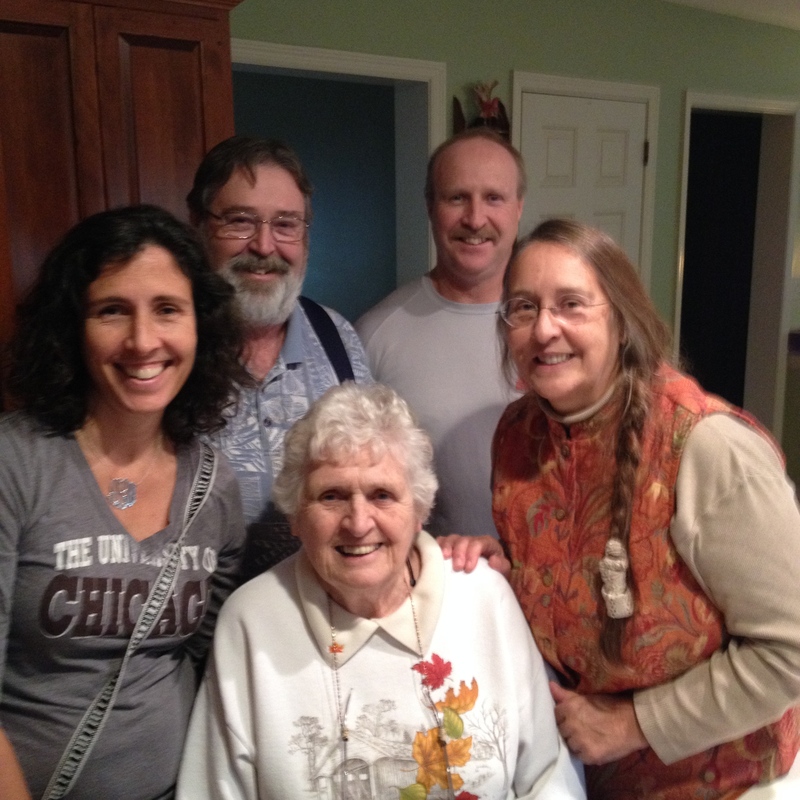 My mom with all her children: my two brothers, my sister, and me. Looking back over the fall semester gives me pause to reflect–on the successes and challenges, the disappointments and the surprises. Next month, I look forward and start my spring semester travels with two trips east: first, I will go to the Boston area to give workshops at Brown University in Providence, Rhode Island and Tufts University in Medford, Massachusetts; then it’s back to the Philadelphia area for workshops at Susquehanna University and at the College of New Jersey.